Now the latest news is that Mohanlal will not be a part of the film due to date issues.Few days back there were reports that Mohanlal-Jackie Chan starrer ‘Nair San’, will begin its shooting in late 2013. The project was announced in 2008 and it was reported that Mollywood superstar Mohanlal and Hollywood action king Jackie Chan will pair up Alberrt Antoni’s Nair San . 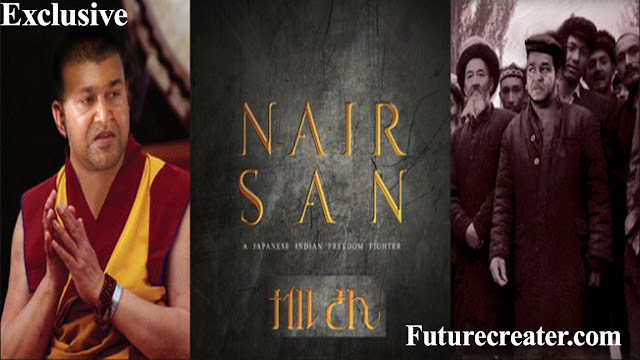 The movie is based on the legendary Indian freedom fighter Ayyappan Pillai Madhavan Nair who is known as Nair San to the Japanese. However, the project did not take off. After all these years, the director Alberrt Antoni recently announced that the project will take off by the end of 2013, and that the process has picked up pace. Meanwhile a source close to Mohanlal said that the he will not be a part of the movie. “Mohanlal was surprised to hear that the project will start soon. It was announced almost four years back. Now, Mohanlal is busy with a number of other projects and he will not be doing the movie,” says the source. The film will be made in the Japanese and English languages while the film is also expected to be dubbed into Mandarin, Mongolian, Tamil, and Hindi. It is also reported that A. R. Rahman will be composing the score for the film and he will do various soundtracks for the different versions.